The Catalan Dragons’ stunning 2018 Wembley Challenge Cup victory came against a backdrop of well over half a century of both triumph and turbulence in French rugby league. Re-emerging from the iniquitous ban under the Vichy government, le rugby à treize was rebuilt from scratch after World War II – so successfully that the Tricolores were recognized as unofficial world champions after their dazzling, ground-breaking tour of Australia, and were at the forefront of international innovation, including the World Cup. 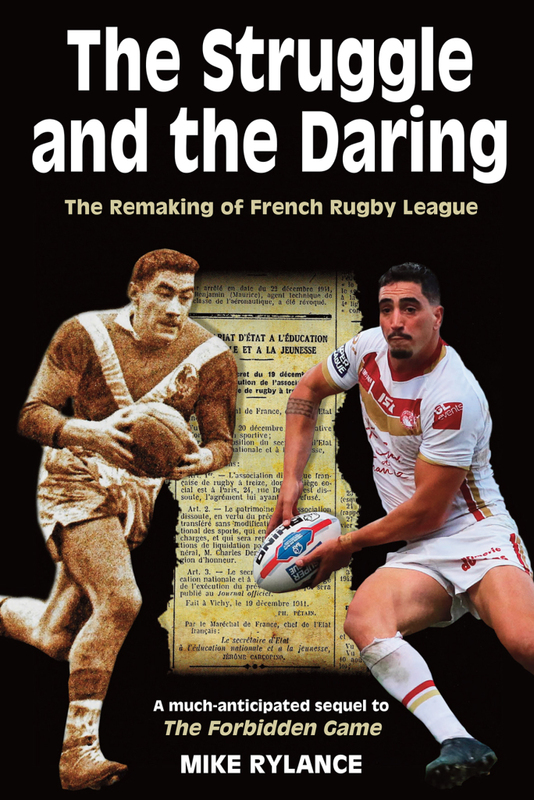 Together with the acclaimed The Forbidden Game, which explored the story of the Vichy ban, The Struggle and the Daring makes up the first-ever complete history of French rugby league. 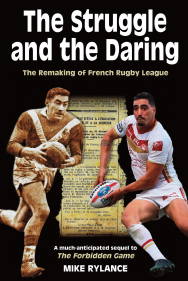 Based on extensive research and interviews, Mike Rylance’s book highlights the many great players France has produced and analyses key events as the game emerged from the chaos of post-Liberation France, continued to grapple with the threat posed by rugby union and, after a long decline, returned to the mainstream of professional rugby league.